Aswani Sunshine is a dream come true for buyers who wish to buy their first home. Your new home can be as close as possible to your office, or place of work - which automatically makes things exciting in this fast growing suburb of the city. The Wipro Corporate office, for example is just 12 km away. From a residential viewpoint, this is an ideal location with malls and shopping centers located nearby. Add to this, schools and hospitals within a convenient proximity radius. YEAR END SALE AS NEVER BEFORE. 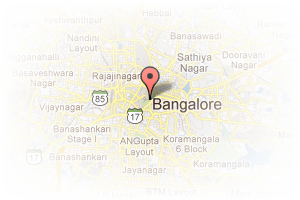 Address: # 50/7, 2nd&3rd Floor, 16th Main, 39th Cross,, Jaya Nagar, Bangalore, Karnataka, India. This Builder Profile page for "Aswani Properties" has been created by PropertyWala.com. 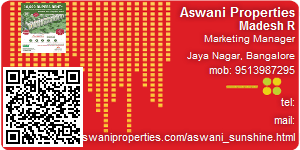 "Aswani Properties" is not endorsed by or affiliated with PropertyWala.com. For questions regarding Builder Profiles on PropertyWala.com please contact us.